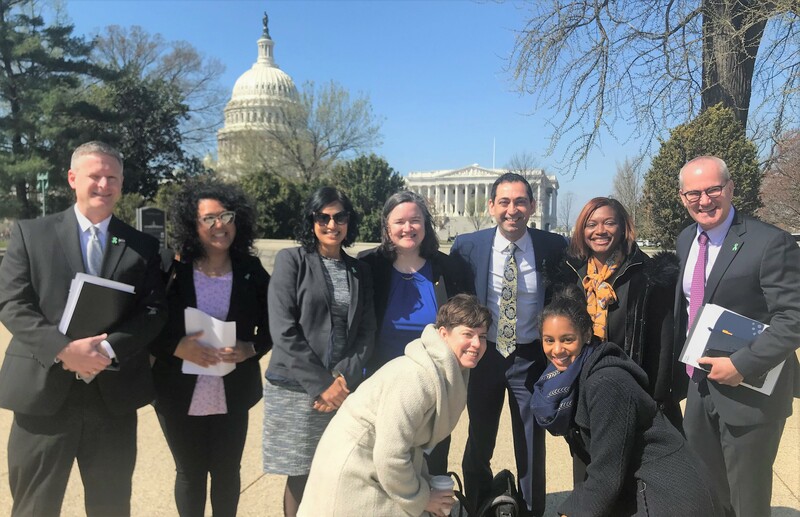 For STD Awareness Month, NCSD members, staff, and important partners headed to Capitol Hill for a Day of Action and a Congressional Briefing. Read the recap of those events below. Last week NCSD kicked off STD Awareness Month by hosting members from different jurisdictions to lead the way in encouraging support for STD prevention programs. Over the two days, 10 NCSD members from 11 states took to the Hill for a Day of Action calling for STD prevention support, and educating Members of Congress and their staff about the STD epidemic happening in our country and why their help is critical. 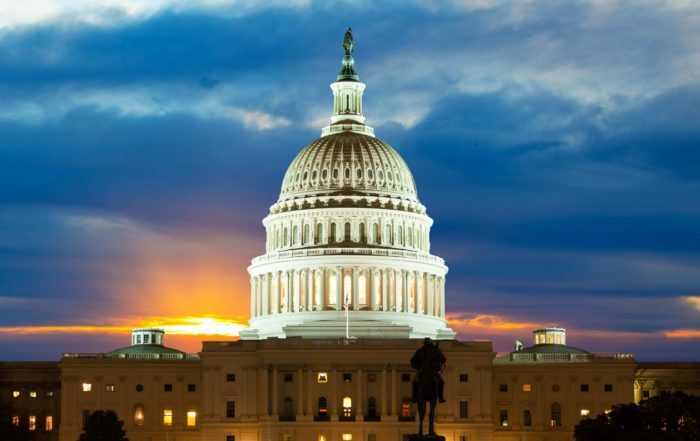 Along with shoring-up support for STD prevention and educating congress, the Day of Action is meant to persuade members of congress into taking action. One of the ways we asked Senators to take action, was to sign onto NCSD’s Dear Colleague letter, a letter that asks Senate Appropriators on Labor, Health and Human Services to provide additional funding to STD prevention programs. Each participant met with their jurisdiction’s congressional offices for a jam-packed day of over 55 meetings with a laser focus on educating the key congressional offices responsible for determining national funding levels for STDs. At the end of each meeting, the congressional staffer or member was left with a better understanding of the STD epidemic in their jurisdiction, and was given options to offer support in the fight, by spreading awareness via social media, signing the Dear Colleague letter, and offering to support future legislation. As a result of the meetings with senators, many signed onto the Dear Colleague letter for a total of 18 signers – 7 more than last year! NCSD hosted a Congressional Briefing and a Day of Action this week to educate Congress about the needs of the STD field. Above are some of our distinguished panel of experts who led the the Congressional Briefing. NCSD’s productive Day of Action was followed by engaging Congressional Briefing, STDs: A Rising Threat to Women, Children, and Families, on Wednesday. The goal of this meeting was to educate members of congress and their staff about the rising rates of congenital syphilis throughout the country and the serious health consequences it can have when untreated. Another purpose of the briefing was to explain how STDs and can cause infertility in women and men, and how women and children bear the biggest burden of the effects of STDs. To achieve these goals NCSD’s expert panel was able to offer data and stories about what they have seen in their jurisdictions as doctors, disease intervention specialists, and public health officers. NCSD’s Board Chair, Greta Anschuetz, American Public Health Association’s (APHA) Executive Director Georges Benjamin and Carol Jimenez the Deputy Director for Strategic Initiatives at the Office of HIV/AIDS and Infectious Disease Policy (OHAIDP) kicked off the briefing on a strong note, highlighting the two concurred about the desperate need for more resources in the STD field. Benjamin offered a glimpse into the second phase of the NAPA study and gave actions for consideration, such as increasing education and awareness, expanding funding and resources to match the scale of the epidemic, a change in the STD narrative by acknowledging that sexual health is an important dimension of overall health and wellness, and commitment from national leadership. Jimenez announced she is leading the federal STD plan and the work has already begun. Some key aspects the plan aims to address are stigma, discrimination, co-infections, and social determinants of health. Jimenez mentioned the federal steering committee working on the plan will be soliciting stakeholder and public input, so be on the look out for in-person and virtual listening sessions! It is vital to tell the story of our members on Capitol Hill to put a name and a face to the workforce charged with fighting these epidemics. The expert panel consisted of leaders in the STD field: Gail Bolan, MD, CDC, DSTDP; Marwan Haddad, MD, MPH, Weitzman Institute; Sonali Kulkarni, MD, Los Angeles County Department of Health; Katrina Miller, Southwest Washington Department of Health; and Ken Palermo, MM, Missouri Department of Health. Each speaker brought a unique perspective on the impact of STDs on the communities they serve. From Katrina Miller, who highlighted the front-line work of DIS in Washington, to Drs. Haddad and Kulkarni, who told the STD story from the clinician’s experience, the true impact that the rise of STDs have on communities began to take shape for the 60+ attendees from congressional offices, federal agencies, and allied organizations. The briefing culminated in a robust question and answer section facilitated by NSCD’s Board Member Michelle Allen. Thank you to all who attended and to our members for the tireless work you do. Our field needs more resources to address STDs in the US and to shore-up some of the cracks that exist in our Nation’s STD response. This few days on the Hill was an incredibly important step in that direction.